The E Street Band member and Underground Garage presenter returns with his first solo album in two decades, featuring the lead off single “St. Valentine’s Day” and a revival of Little Steven and Bruce Springsteen’s classic song for Southside Johnny, “Love on the Wrong Side of Town.” Available now on CD, DD and LP. Bruce Springsteen’s longtime right hand man/shotgun riding guitarist and occasional actor’s first solo stab in nearly two decades . If, as Steven Van Zandt says in the press notes accompanying the release “This record is me doing me,” . It’s impossible not to hear the Southside Johnny blueprint of horn-bolstered classic R&B on Soulfire, both in the boisterous, brassy arrangements and Steve Van Zandt’s vocals that are often so similar to Johnny’s . Additionally, Steven recreates five songs he wrote for various Southside albums in arrangements that hew closely to the first versions. Other tunes have already appeared on albums from Gary U.S. Bonds and The Cocktail Slippers, a band on Van Zandt’s Wicked Cool record label. None of this is a deal breaker though. Little Steven and his Disciple of Souls backing unit attack the material with the fever, fervor and, well, fire of Springsteen at his most soulful. These recordings crackle and explode out of the speakers with a wall of sound approach that brings a widescreen audio ferocity to the hour-long program that never lets up. The cinematic association is particularly relevant on a cover of James Brown’s “Down and Out in New York City” from Brown’s Black Caesar soundtrack where Steven sharply recreates the “blaxploitation” sound — right down to the wah-wah guitar, horns and strings — first popularized with Isaac Hayes’ music for Shaft. Regardless, it’s hard to imagine a more joyous and revelatory contemporary blue-eyed soul recording. 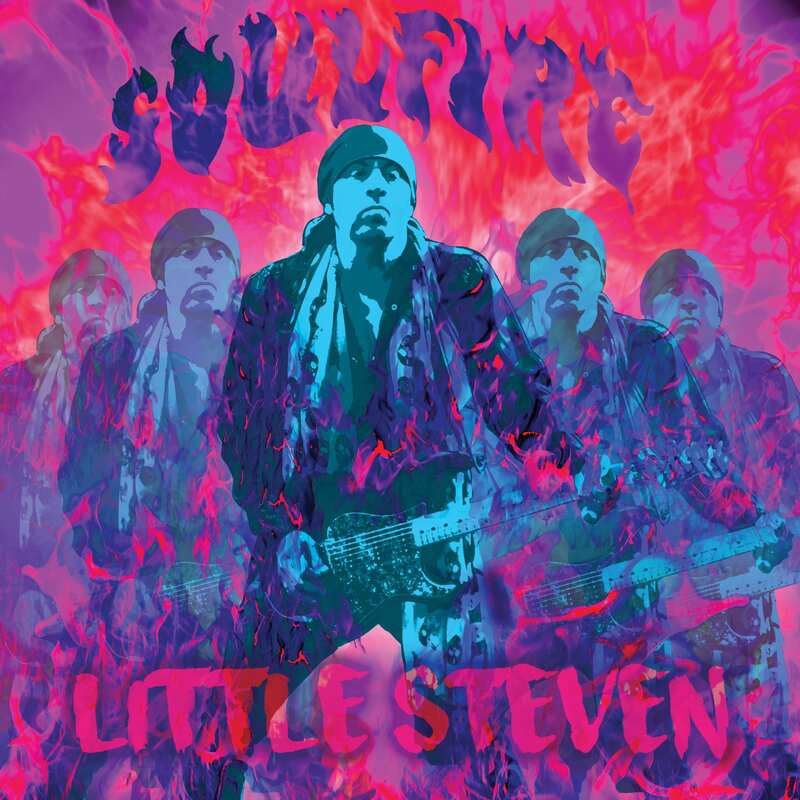 The appropriately titled Soulfire is a tough, tight and clearly inspired project as well as a most welcome return from the musical shadows for Steven Van Zandt.